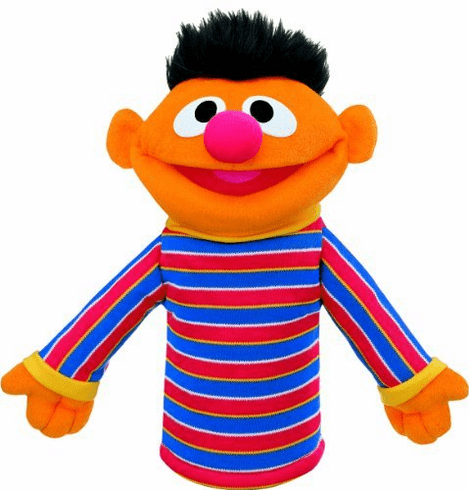 Bring Ernie to life yourself with this cuddly soft puppet plush. Stands 11" tall. Great for aspiring puppeteers.